Monthly Focus: Jesus is Alive! The good news of Jesus is exciting and something to shout about! Your child decorated their own Jesus is Alive! megaphone and participated in a Good News parade. Share the excitement with your family by creating your own Good News parade at home. Have your family grab instruments (or make your own with pots and spoons), have your toddler grab their megaphone, and parade around your house shouting ‘Jesus is Alive!’ and playing your instruments. Lesson Overview: After learning about Jesus’ death and crucifixion last week during Easter, Quest kids celebrated the good news that Jesus rose from the grave three days after his death! The Action 7 World News team covered this amazing story and discovered that we can tell everyone “Jesus is Alive!” We heard the Bible story this week from John 20:11-29 and learned that Jesus appeared to Mary, the Disciples, and Thomas. Help your preschooler share the Good News of Jesus by writing down people’s name they can share “Jesus is Alive!” with this week. They can share this with their friends, their teacher, family members – anyone! 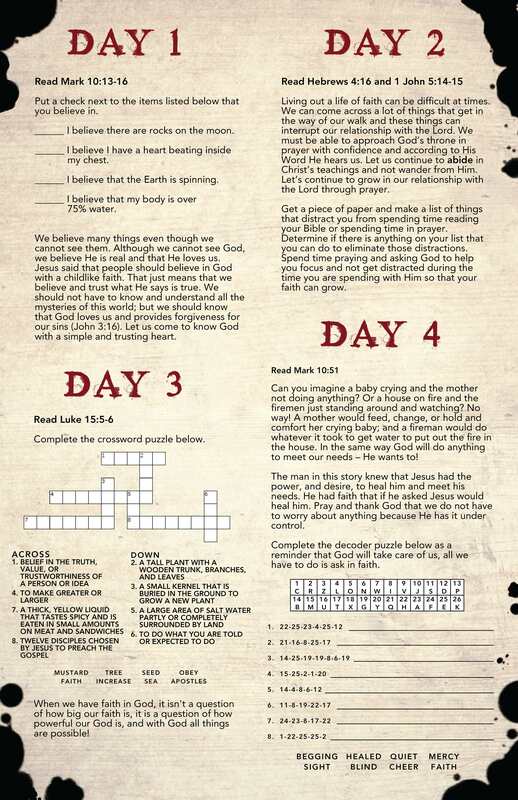 Lesson Overview: Last weekend we learned about our first “Hall of Faith” inductee – Noah, who had faith even when God asked him to do something CRAZY! This weekend we learned about another man who made it in the Bibles “Hall of Faith!” – Abraham! When God called Abraham to “go into the land” He promised, Abraham had no idea where that land would be. However, Abraham had faith that God would show Him and because of his faith and obedience God was able to use Abraham to make an impact on the world! During small group, your child reviewed the Bible story through an activity called “Blown Ink.” Your child used this activity to demonstrate what the Bible says that our faith – that no matter how big or how small our faith is it can make an impact on others. Ask your child about their blown ink project and encourage him or her to put it in a place where the entire family will see it as a reminder that our faith can impact others!